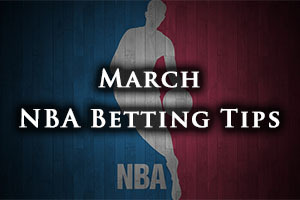 Friday night kicks off the weekend and there are plenty of great NBA games in store for Friday, and there were some pretty big games to look back on for Thursday. The Wizards grabbed a great home win against the Grizzlies, defeating the Memphis side by 107-87. The Jazz also won at home, defeating the Rockets by a score of 109-91 and the Knicks grabbed a big away victory, defeating the Lakers by a score of 94-101 in Los Angeles, in a game between two teams who were desperate for any sort of victory. The Pacers won in Indiana, defeating the Bucks by a score of 109-103 and the Spurs narrowly lost an epic match with the Cavaliers. Cleveland eventually rode to victory in a 125-128 match that left fans gasping for more in a game that lived up to all of the hype and pre-game billing. The Kings haven’t managed to put two wins together in close to four months, but they will fancy their chances of doing so in this match in Philadelphia. The 76ers are having a terrible season as well, but it may not be the walk-over that Kings fans are hoping for. The Kings have a 22-41 record heading into this game and they have a 9-22 record away from home. They won their most recent game against the Hornets, beating a highly fancied team away from home, 106-113. The Kings hold a 3-7 record in their last 10 games. The 76ers have a 14-50 record this season which includes a 9-23 record at home. The 76ers hold a 2-8 record in their last 10 games and they come into this match on the back of a loss at home to the Bulls, losing 95-104 to Chicago. For average points scored, the Kings lead by 100.9 to 90.7 and for average points allowed, the 76ers have the edge, 100.8 to 105.1. DeMarcus Cousins is a doubt for the Kings while the 76ers are monitoring Isaiah Canaan and Nerlens Noel while Joel Embiid is a bigger doubt. Taking the Kings with a -3.5 handicap, at odds of 1.90, is likely to be a sound bet. Bet Now! The Raptors have lost their way badly in recent times and there has been a lot of words said in the aftermath of their poor run of form. Kyle Lowry may be an All-Star player but he is also on a team that is struggling and he slaughtered his team-mates for a lacklustre start against the Spurs. The 107-117 loss away to San Antonio doesn’t seem that bad on paper but for a team that has a 1-9 record after showing such promise, it was highly infuriating. The fact that the Raptors have endured this run of form and can still boast of a 38-26 record indicates how tremendous their run of form was up to recently. They hold a 21-11 record at home but have suffered four losses in a row. The Heat hold a 29-35 record at the moment and this includes a road record of 15-17. The most recent game for the Heat was a comfortable 104-98 home win against the Nets and the team from Miami hold a 6-4 record in their last 10 outings. For average points scored, the Raptors lead 104.5 to 94.5 and for average points allowed, the Heat have the edge by 97.0 to 101.3. The Heat have a large injury problem at the moment with Luol Deng, Goran Dragic, Chris Andersen, Udonis Haslem, Dwyane Wade, Chris Bosh and Hassan Whiteside all suffering various degrees of injury. Taking the Heat with a +5.5 handicap, at odds of 1.90, seems like a worthwhile gamble, even allowing for their injury list. Bet Now! The Celtics have been in good form of late although they did slip to a disappointing loss against the Magic last weekend. This gives them a chance to get revenge for that defeat and continue their fine run of form. Boston has a strong record at home, winning four out of their last five games and seven of their eight games at home. The Heat hold a 21-45 record this season, which includes a 10-24 record on the road. The last two games have resulted in defeat for Orlando, including a 97-91 loss in Milwaukee on Wednesday. They hold a 4-6 record in their last 10 outings. The Celtics hold a 27-36 record, which includes a home record of 16-16. The Celtics have won their last two games, including a 95-92 win against Memphis in Boston on Wednesday night. In the last 10 games, the Celtics have a 7-3 record. With respect to average points scored, the Celtics lead by 100.8 to 95.7. With respect to average points allowed, the Heat leads by 101.4 to 102.0. The Magic have major doubts over Luke Ridnour, Nikola Vucevic, Evan Fournier and Willie Green while Boston has concerns over Avery Bradley and Isaiah Thomas. Taking the Celtics with a -5 handicap, at odds of 1.90, is likely to be a sound bet. Bet Now!